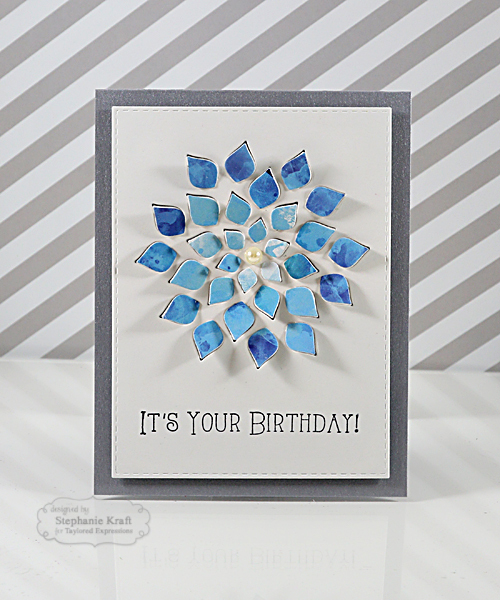 HandKrafted by Stephanie: TE April Sneak Peeks: Celebrating Mom! TE April Sneak Peeks: Celebrating Mom! Hello! 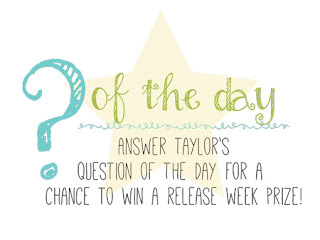 Welcome to day 2 of Taylored Expressions April Sneak Peeks! The Creative Team is continuing sneak peeks today. All products will be released on Thursday, April 7 @ 7 AM PDT. Today I have a two cards that I made for my mom. The first is for her birthday, which is right around the corner (which means I better get my act together and get this in the mail soon!). This clean and simple card features the new Full Bloom die. 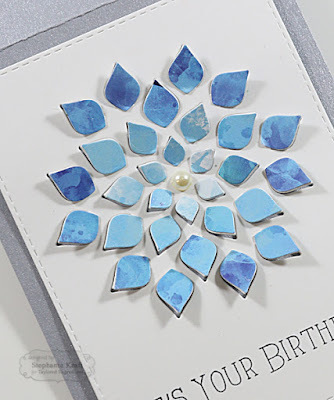 I started by die cutting this onto Sugar Cube cardstock, then I used the smaller petal pieces and die cut them out of watercolor patterned paper. The petals pop up which adds a nice touch. The sentiment is from the previously released In & Out - Birthday. 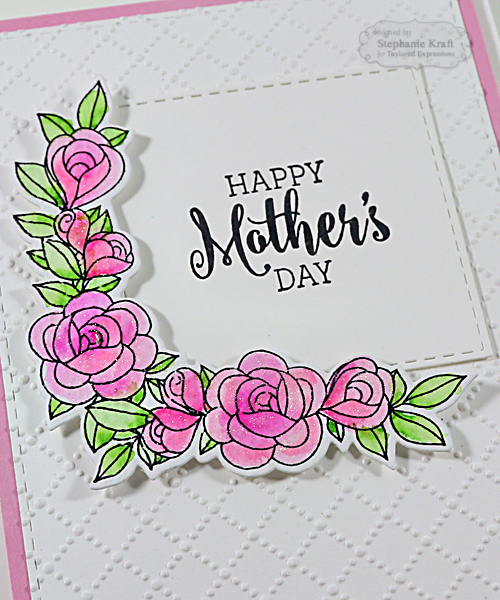 My next card is for Mother's Day! 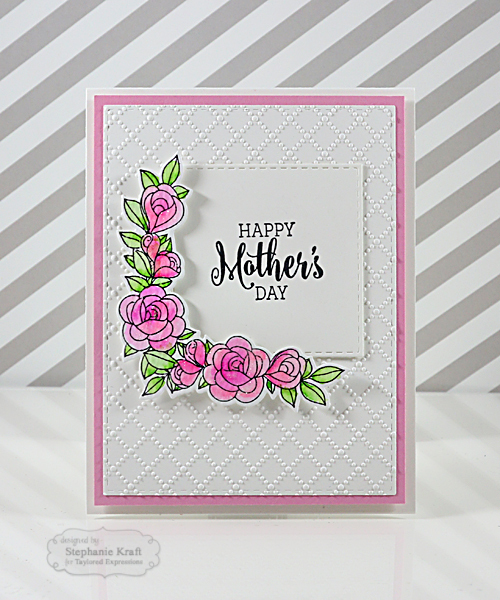 This card features the Rosy Posey stamp, which was released a few years ago. To go along with the Rosy Posey dies, we are releasing Rosy Posey 2 dies, which include even more dies to go with the set. I used the corner floral arrangement here. My roses were stamped with Archival Jet Black ink onto watercolor cardstock and colored with Zig Clean Color markers. I finished it with the Clear Wink of Stella marker to add some shimmer to the flowers. The sentiment is from Simply Stamped - Peonies. Note: Products in BOLD will be available in the TE store on Thursday, 4/7/16 @ 7 AM PDT! OMGEEE Stephanie these are great! I especially LOVE the second one. BEAUTIFUL!